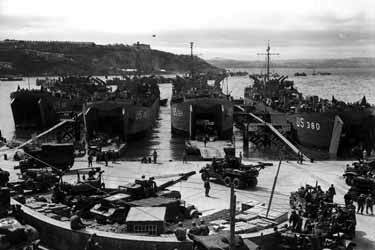 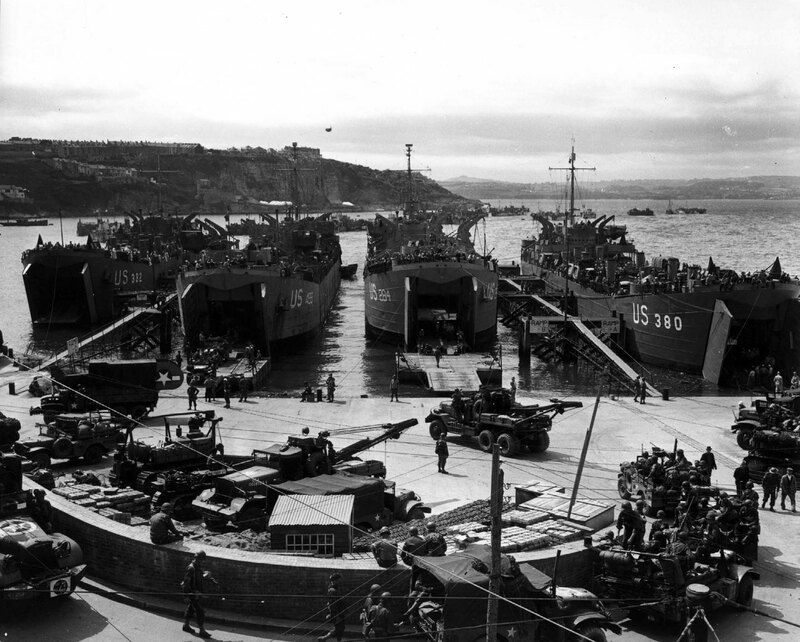 In preparation for the invasion, artillery equipment is loaded aboard LCTS at an English port. 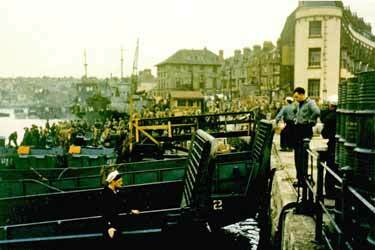 Brixham, England. 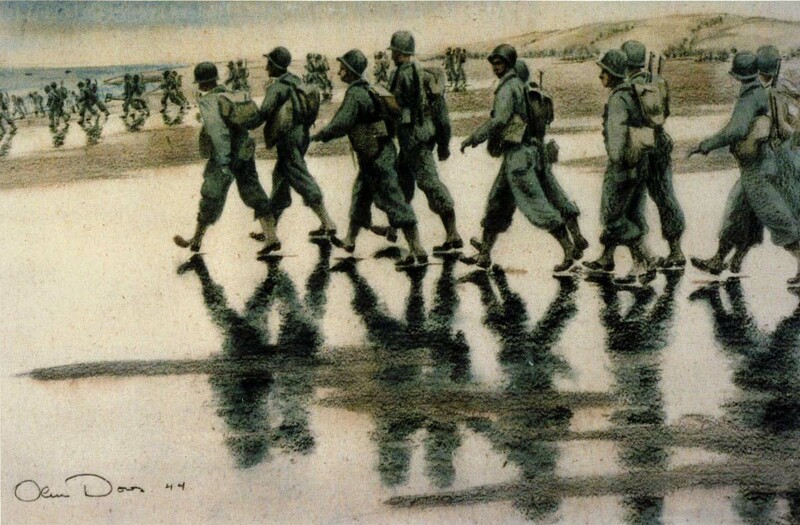 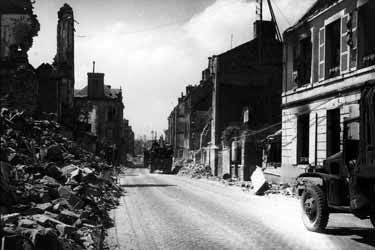 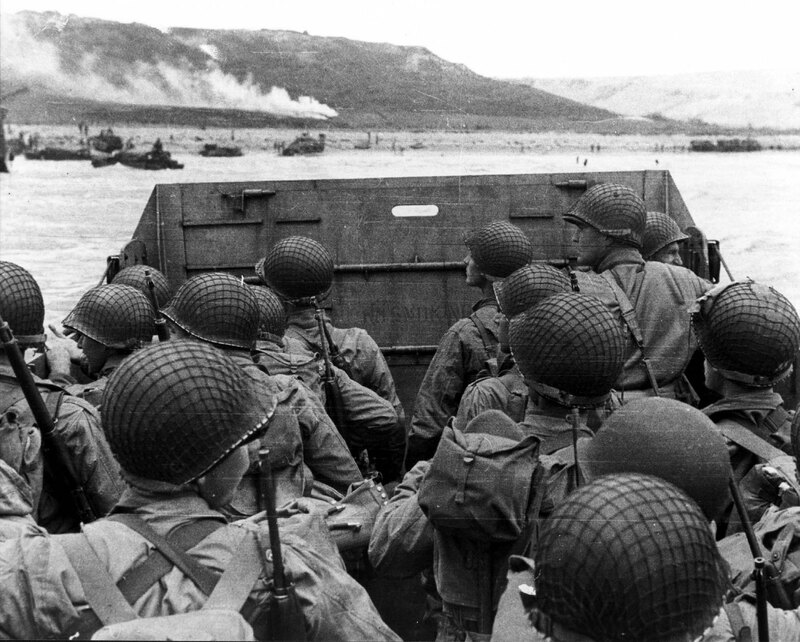 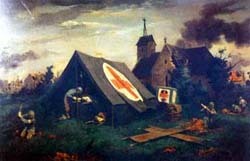 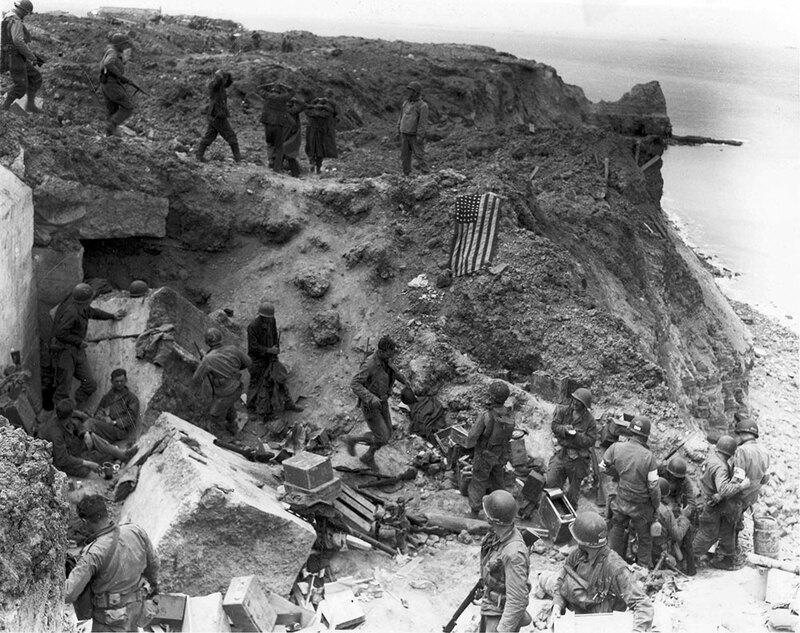 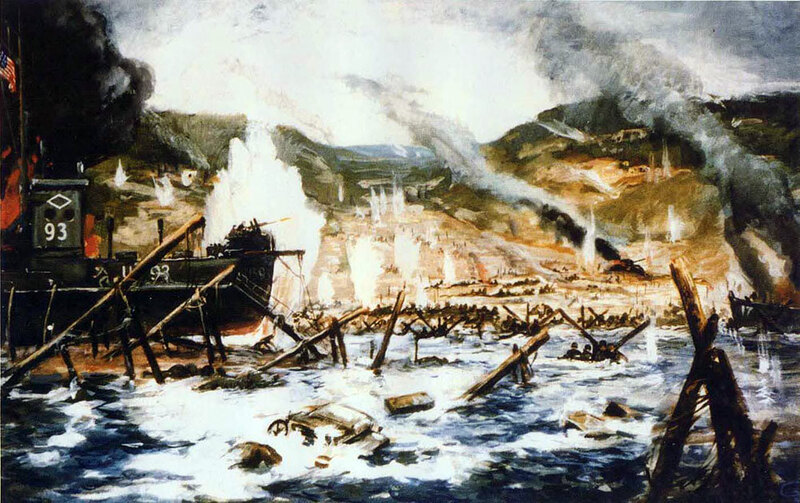 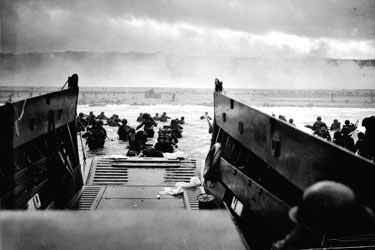 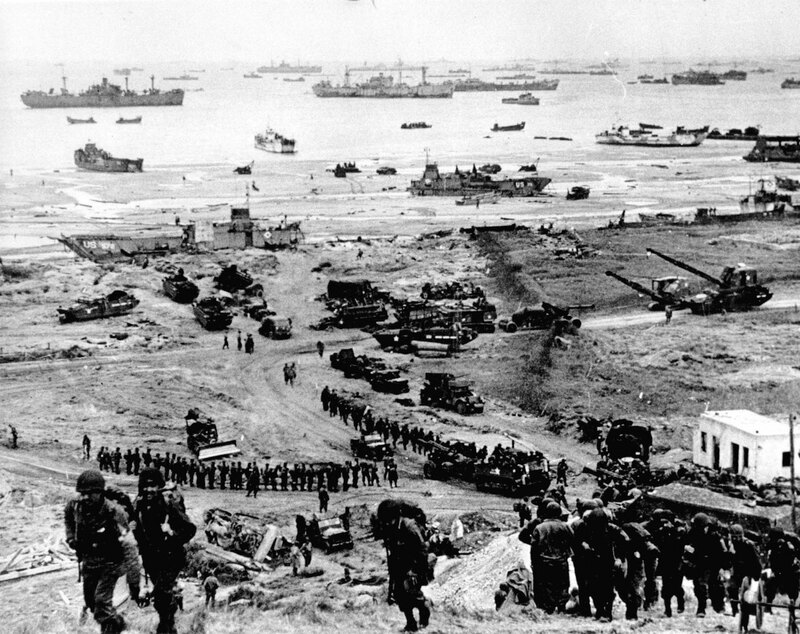 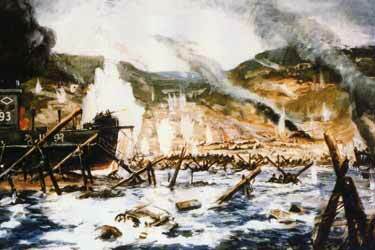 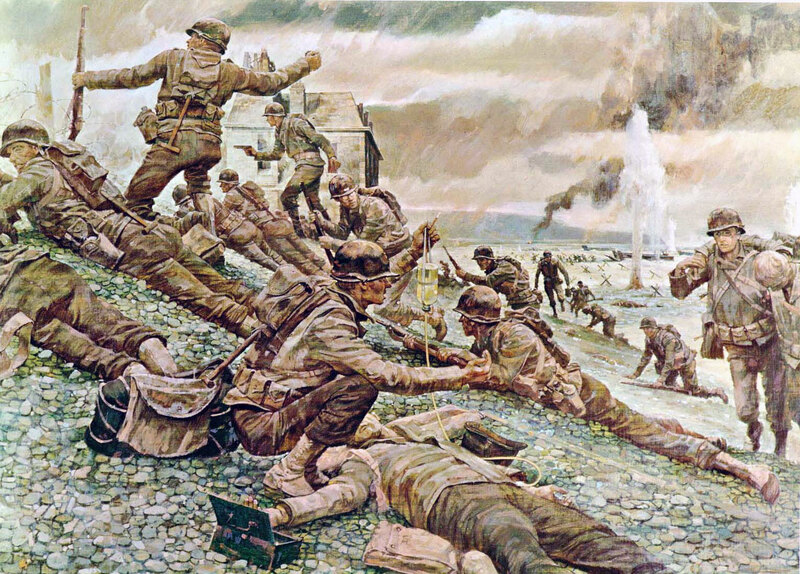 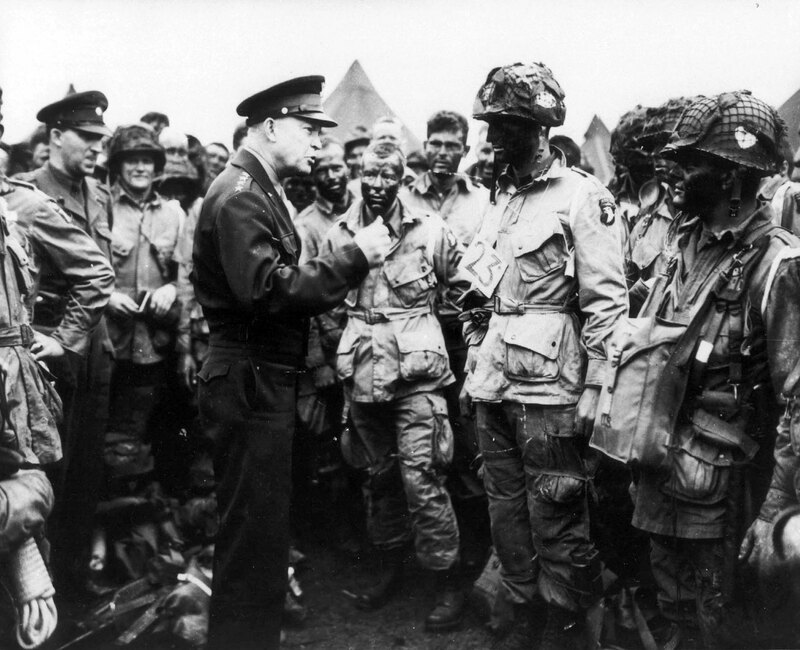 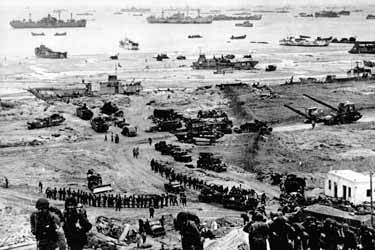 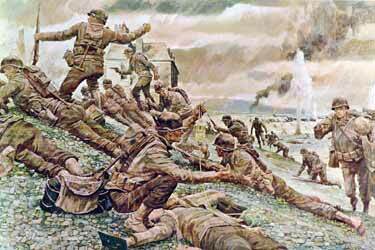 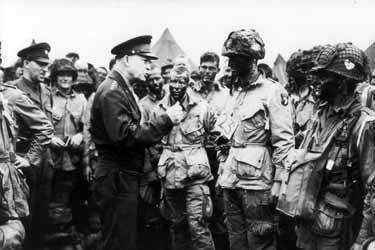 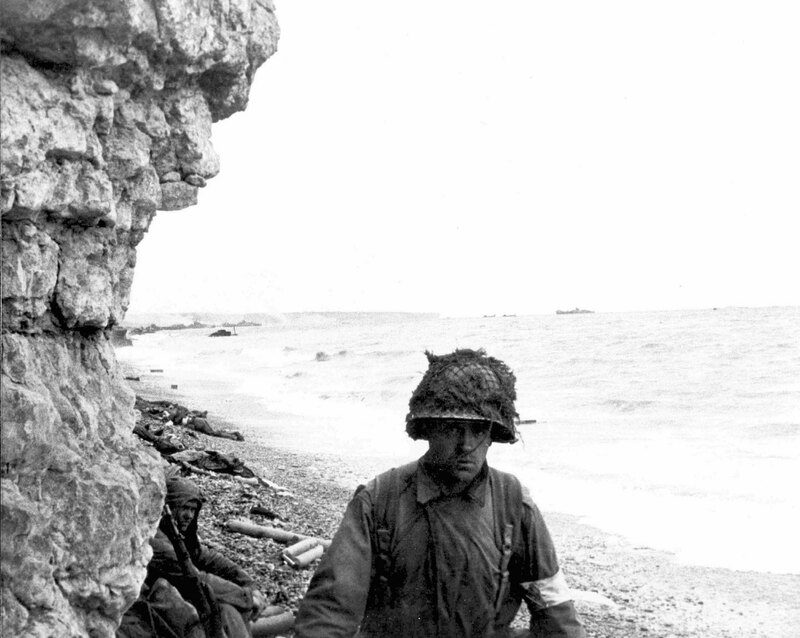 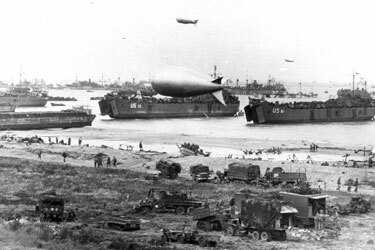 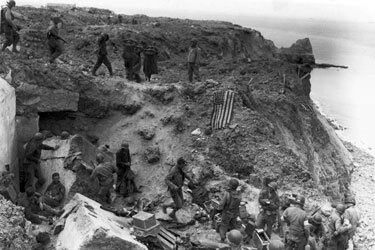 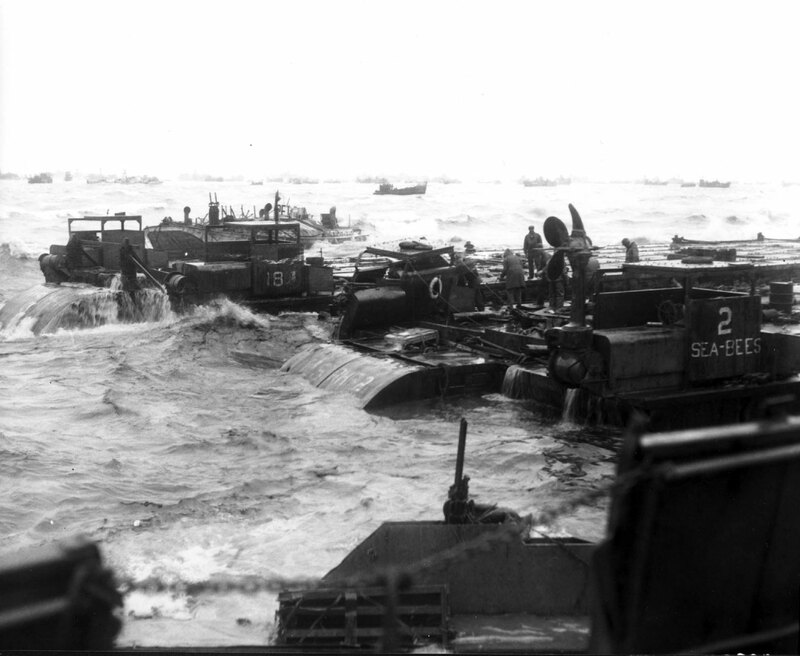 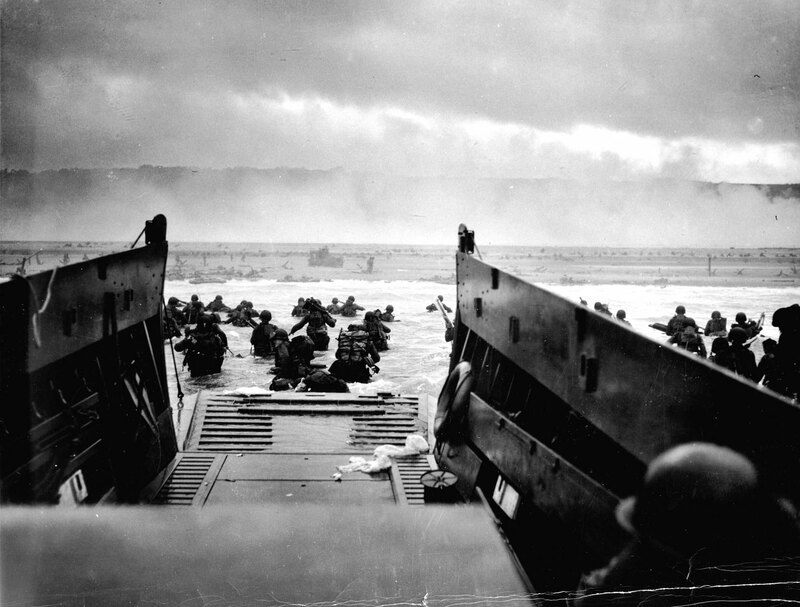 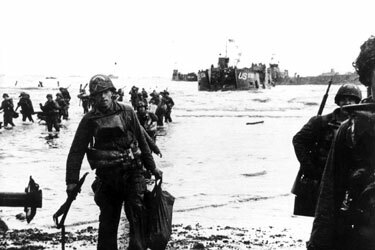 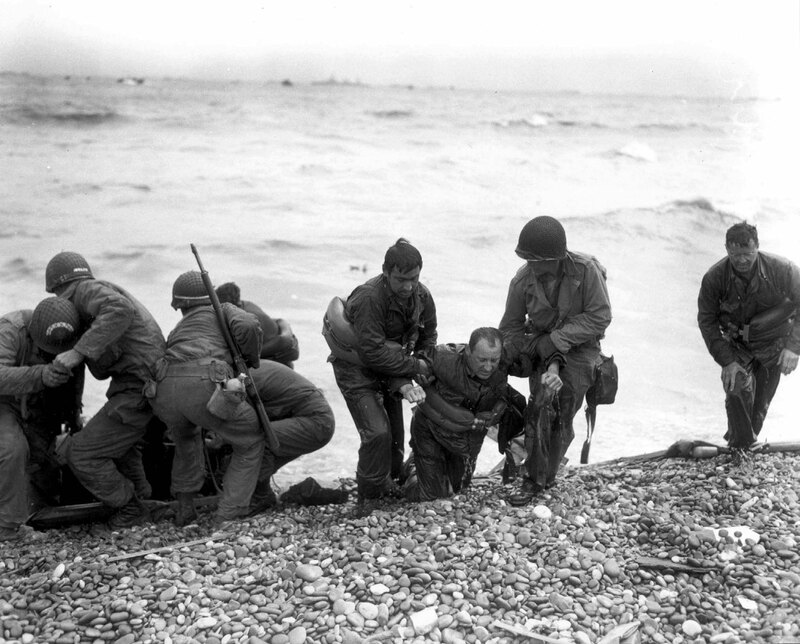 1 June 1944. 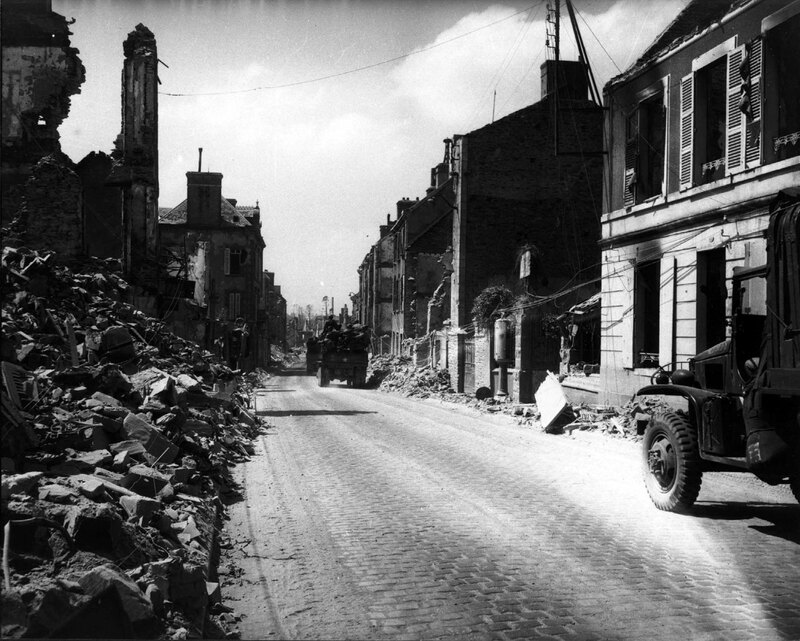 Photo by Nehez. 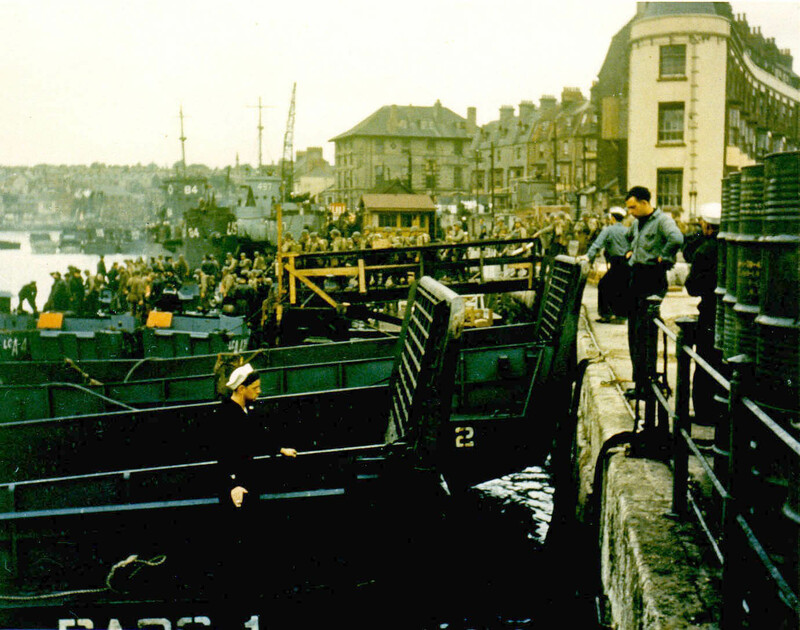 General view of a port in England; in foreground, jeeps are being loaded onto LCTs - in background, larger trucks and ducks are being loaded onto LSTs. 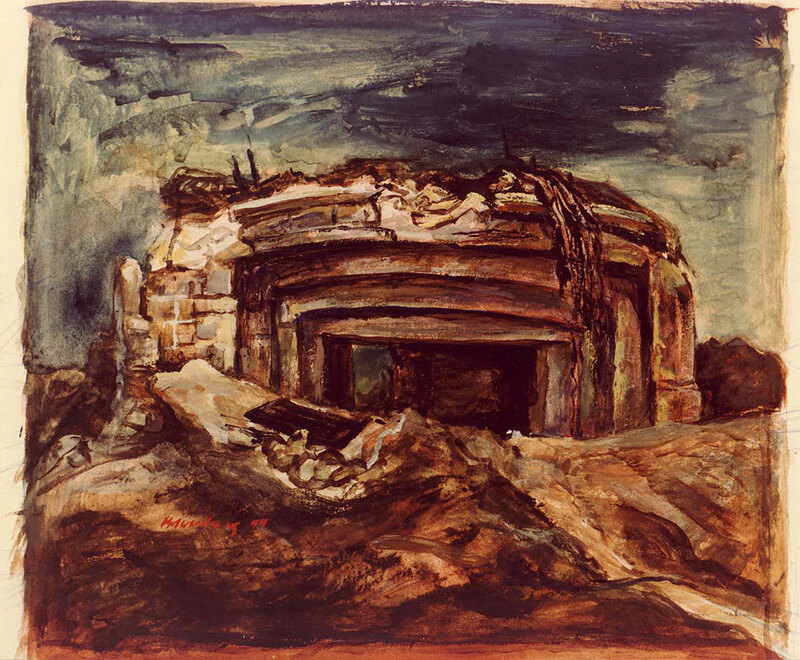 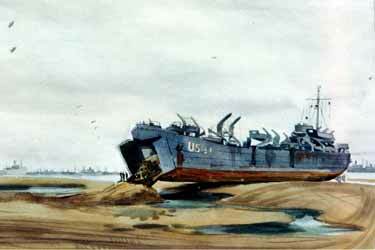 Undated - June 1944. 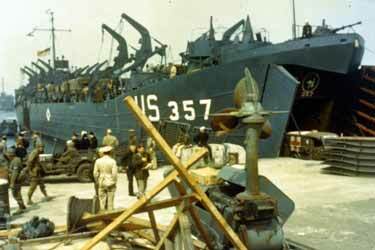 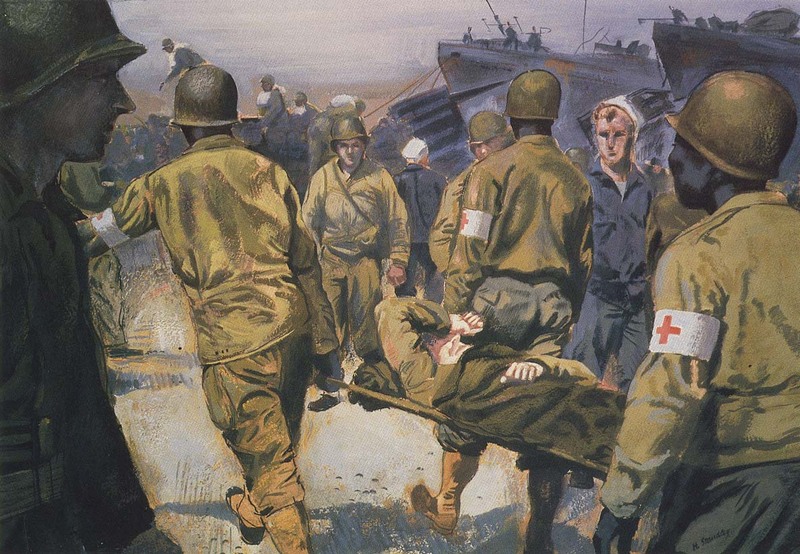 An ambulance being backed into the mouth of an LST in preparation for the big assault against Hitlers Europe. 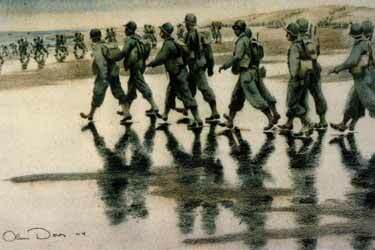 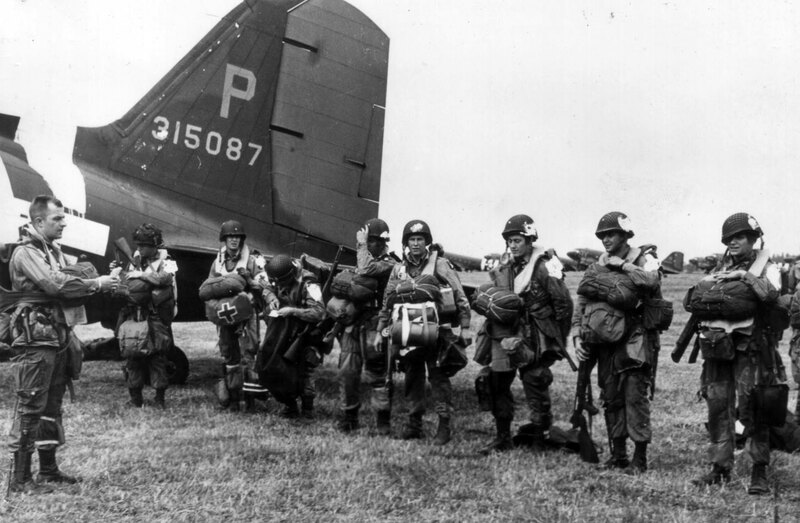 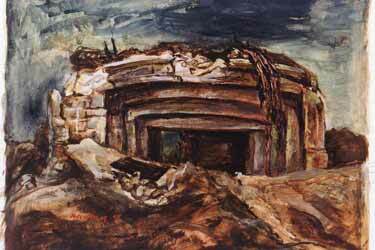 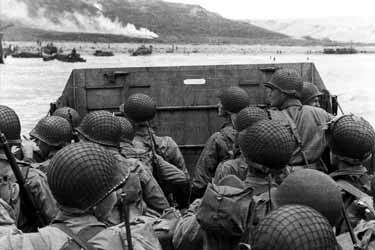 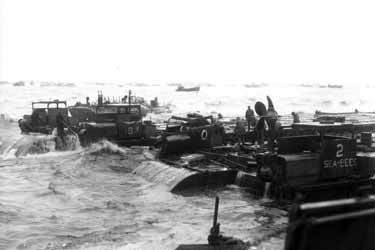 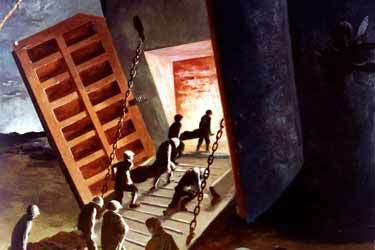 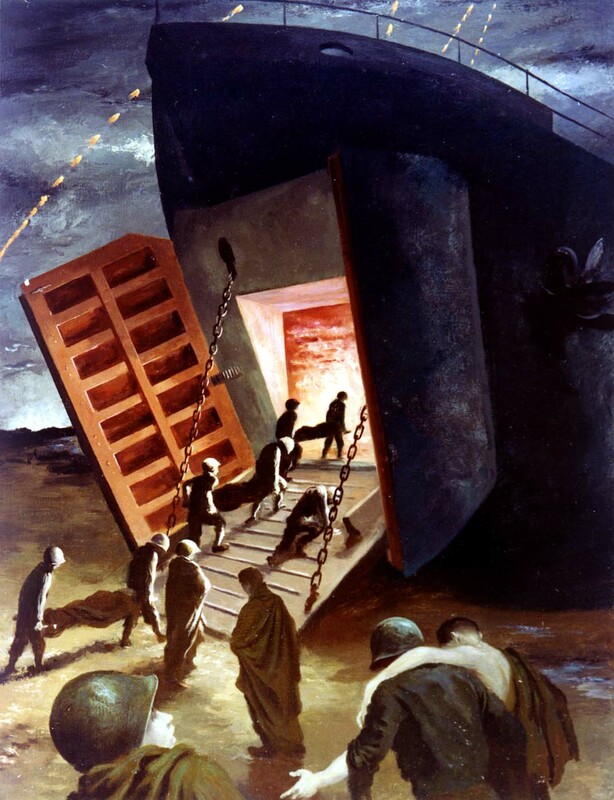 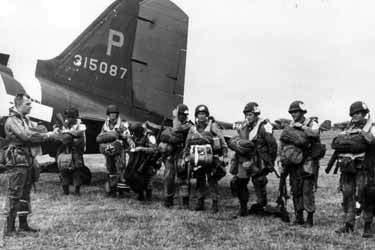 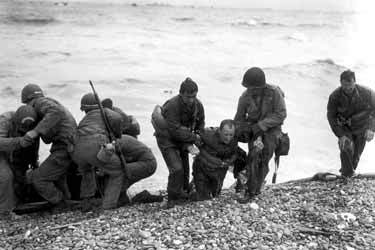 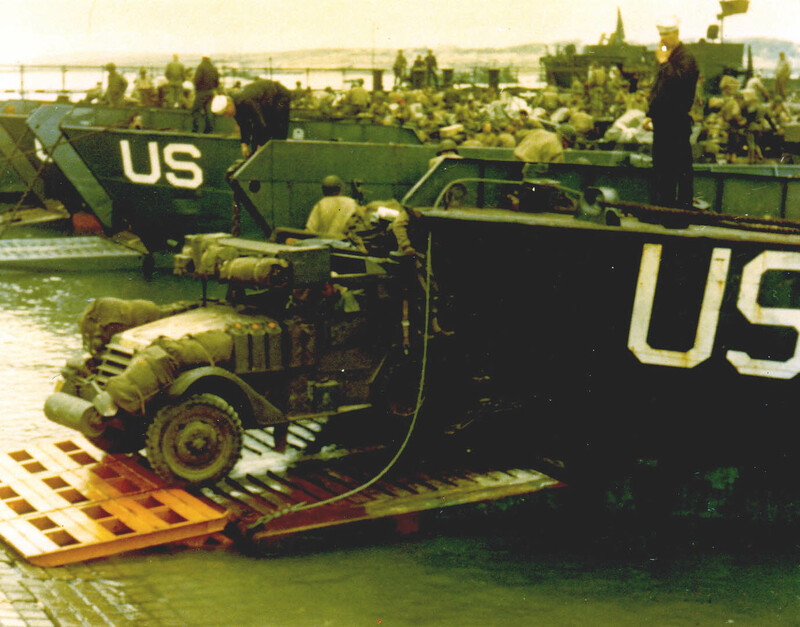 Undated - in prep for Normandy landings. 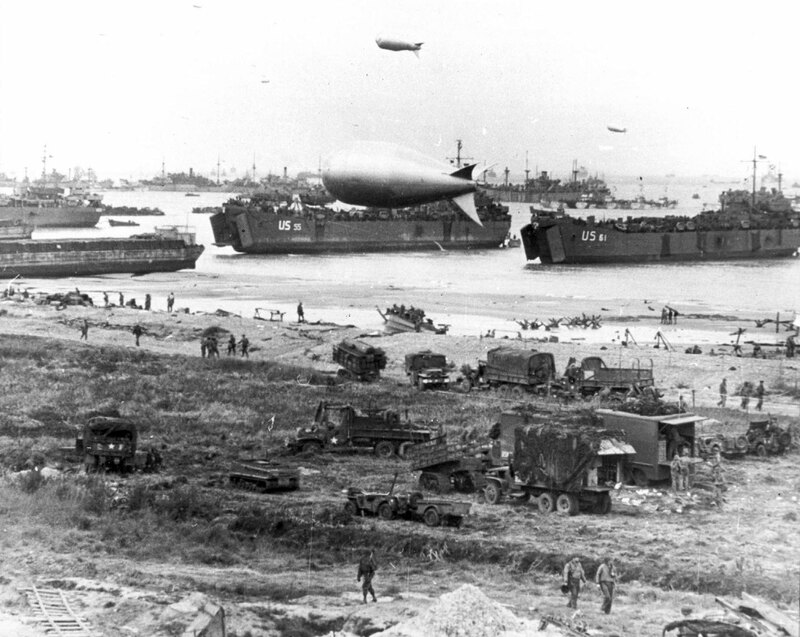 Undated - June 1944. 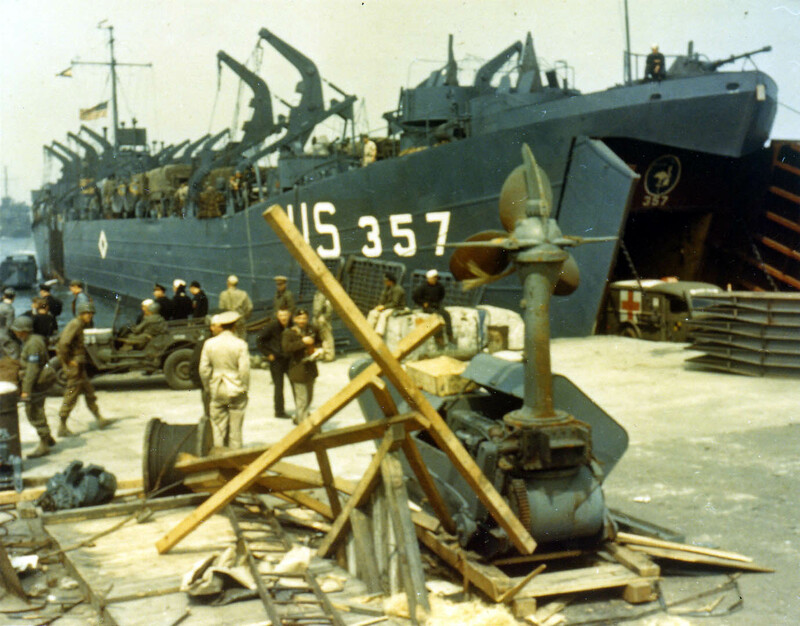 Anti-aircraft halftracks to support initial wave of the assault against Hitlers Europe begins are being loaded onto an LCT in a British port. 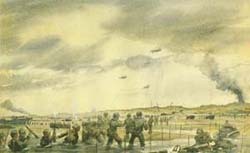 Undated - June 1944. 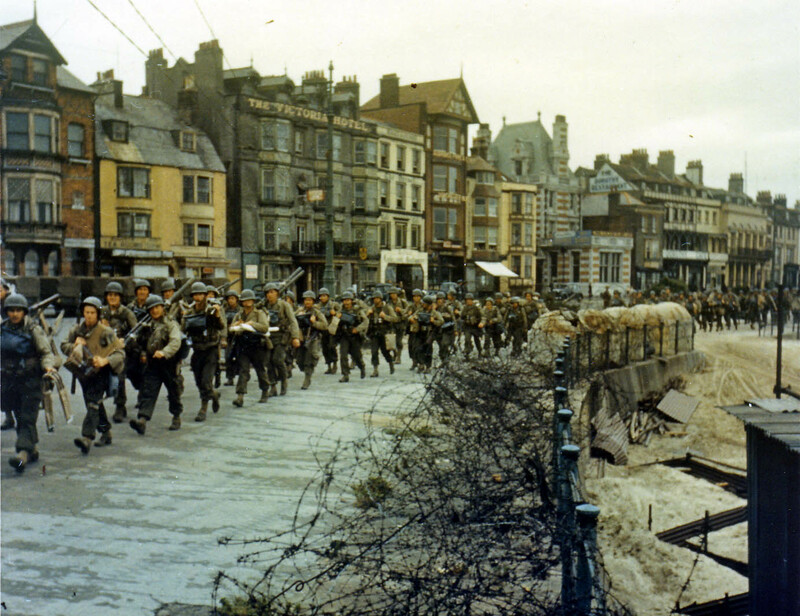 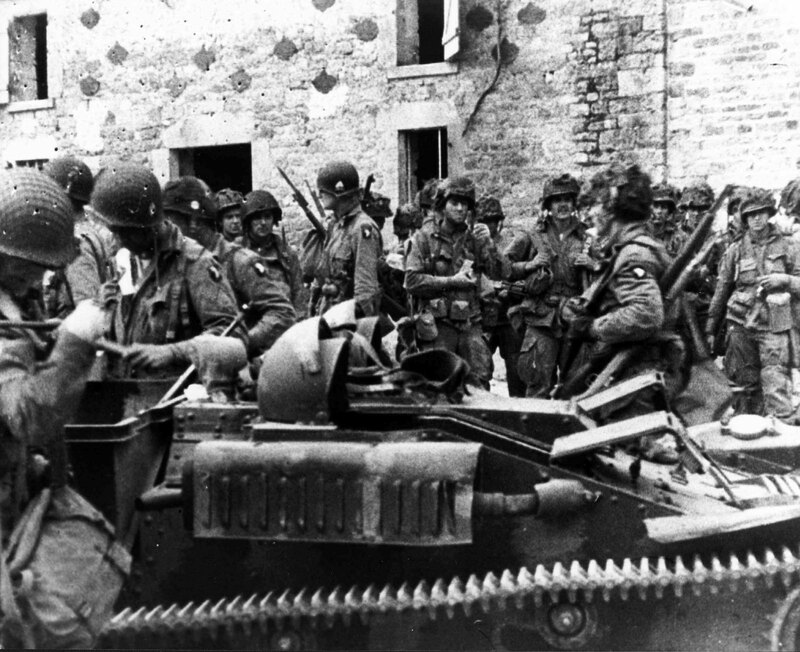 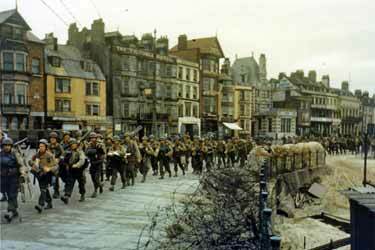 These American troops are marching through the streets of a British port town on their way to the docks where they will be loaded into landing craft for the big assault. 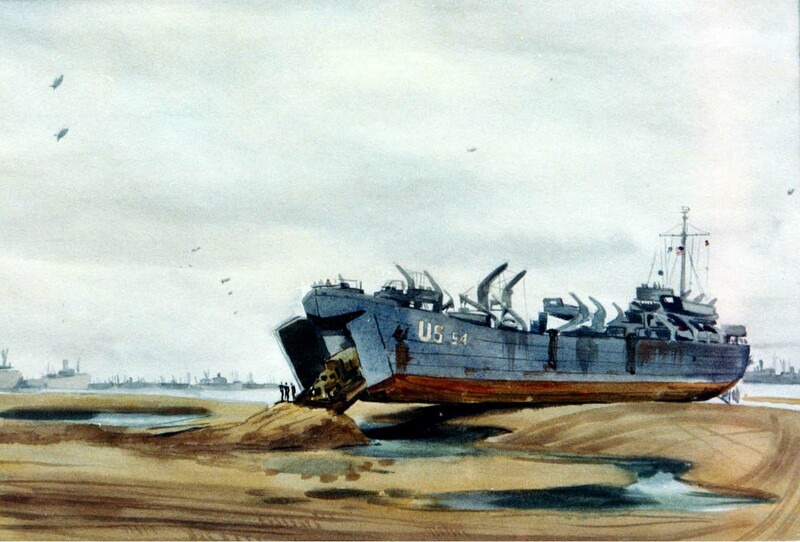 Undated - June 1944. 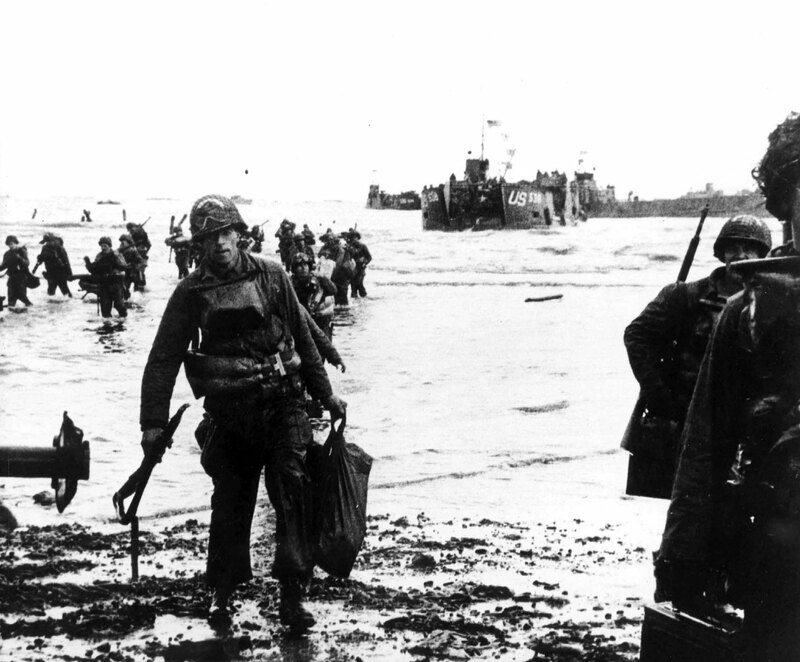 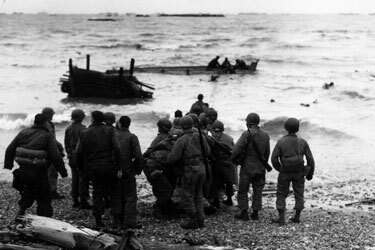 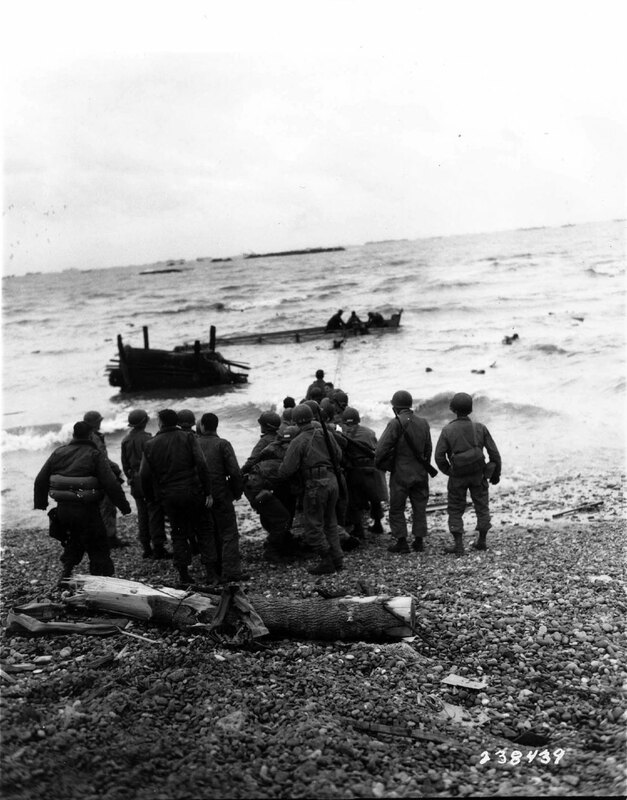 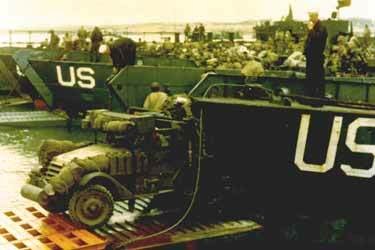 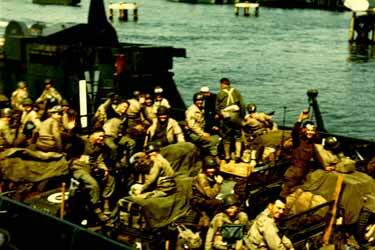 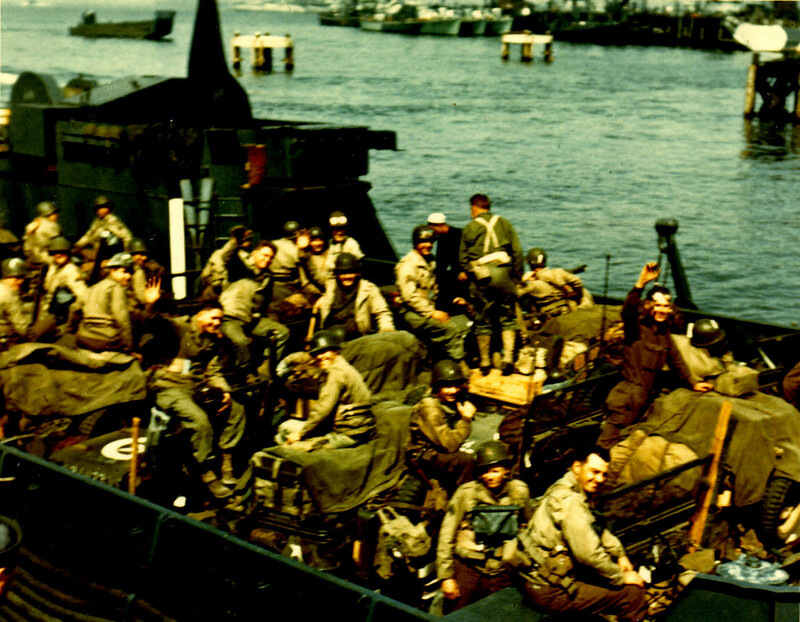 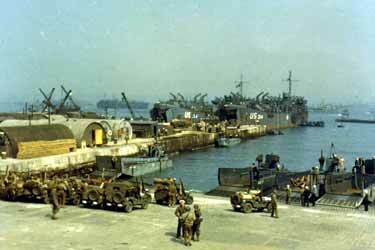 American troops load onto landing craft at a port in Britain from where they will shove off for the invasion of Europe on D-Day. 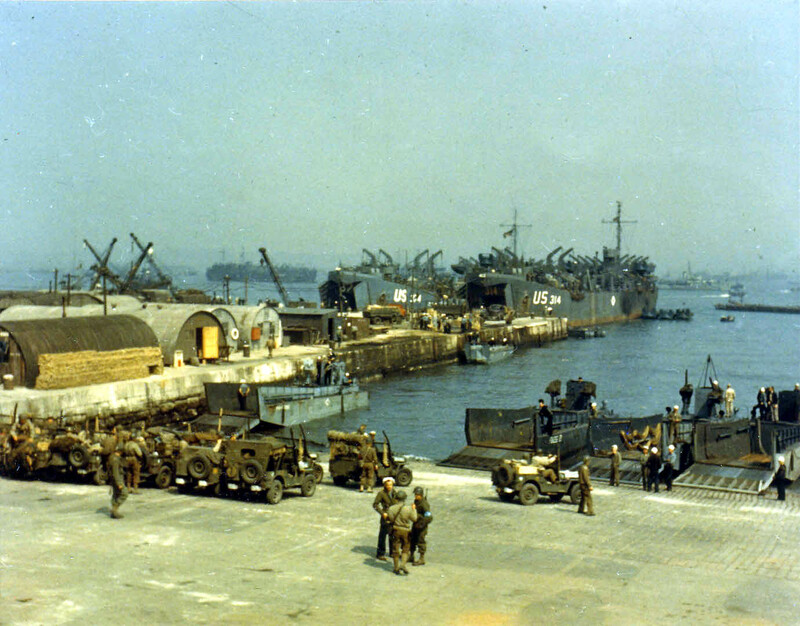 Undated - June 1944.